Can MacBook Pro's successfully support and fully exploit RAM of a higher MHz rating than that which they ship with? 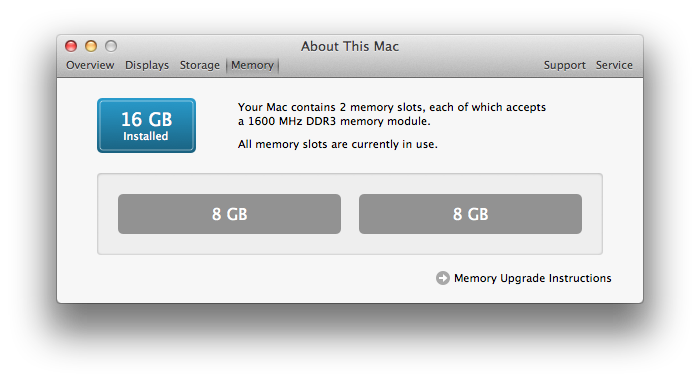 For example, take my 15" MacBook Pro (Late 2011) that ships with 4GB of 1333MHz DDR3 memory. I'm considering buying 16GB of the same clock speed even though Apple says that it can "support up to 8GB" — but we know that Apple is wrong. What about installing 1600MHz in the 16GB variant — will it work? Or will it be clocked down to 1333MHz? When compared to 16GB 1333MHz, will the higher clock speed improve battery life, performance, timings, or what? The short answer is that it will depend on the model of your machine, and the RAM manufacturer you buy from — but I can't tell you any specifics on either. I installed 1600 MHz RAM on my laptop and found that it failed the Apple Hardware Test, Memtest OS X, and the Tech Tool Pro memory tests. These could have simply been faulty RAM modules, or just not 100% compatible with my machine. So follow the advice below at your own risk. "But it's compatible with my Intel processor"
Intel's spec for my i7 processor (2760QM on a Late 2011 MacBook Pro) says that 1600 MHz DDR3 RAM is compatible. But does that translate for Macs? Yes according to OWC. However, Macs are notoriously picky about RAM, and while 1600 MHz memory might be compatible with Intel, it doesn't meant it'll be compatible with the Apple logic board. So find out if Intel supports it, but that is no guarantee. If the decision between two MHz-ratings of RAM comes down to price, take a look at the real-world performance increase and judge whether it's worth it. It's likely that it may not be worth it to get the "faster" memory. Also take into account the risks if it doesn't work: you'll have to return it (if even possible). First, there is the question of whether it will pass memory tests (see the first section). Also, I am unsure on how one can test if it is not being clocked down to 1333 MHz and the full 1600MHz are being used. I am not sure whether showing up there means it works. The processor is hardwired to talk to the memory so it will throttle memory down to the speed it can talk at. 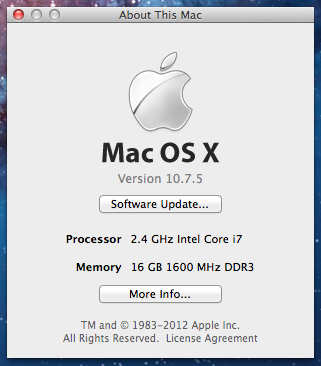 Installing 1600MHz RAM will just run at 1333MHz in that model MacBook Pro. There is no impact on battery life, performance, reliability etc. I know there was an issue on some models where it would not boot with 2 modules of higher speed but I believe it is fine with the new models. There are utilities you can get to change the memory speed (on some modules) to get around this issue. I am not sure if this is the case with newer models. The last time, I looked the price difference between these speeds of RAM was so small, I would just get the 1333 models for safety. Not the answer you're looking for? Browse other questions tagged macbook upgrade memory performance battery . Reliability of cheaper RAM like Komputerbay, or unbranded? 16GB of RAM makes MacBook Pro's fans go wild before sleep? Can I add 16 gigs to the 13 inch non-Retina MacBook Pro? Can I use 1333 MHz RAM in a 1067 MHz MacBook Pro?